Every few weeks or so, Make Do Co. offers a favourite book to subscribers that reflects part of its mission. The mandala has long been part of Eastern philosophies, a beautiful pattern to meditate on, offering an insight into deeper peace and self awareness. The Mindful Mandala Colouring Book combines traditional wisdom with a new mindfulness practice — adult colouring in! 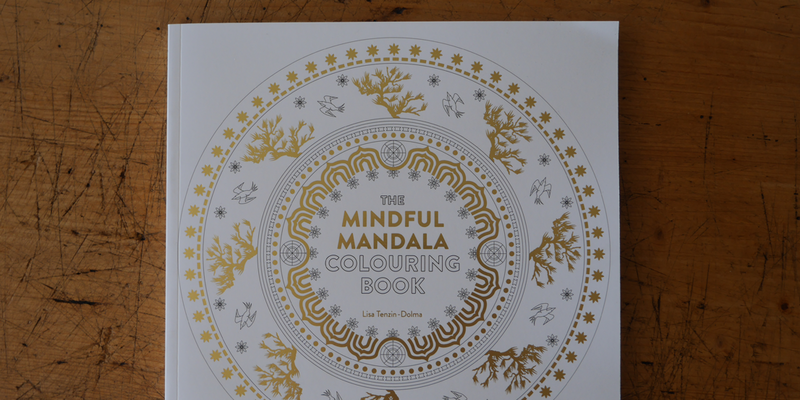 We’re giving away one copy of Mindful Mandala Colouring Book to a Make Do Co. subscriber. To win this amazing book, share your own experience of meditation in the entry form below. Has it been useful in your life? What would you do differently, if anything? Remember – meditation comes in many forms. Every few weeks or so, Make Do Co. offers a favourite book to new subscribers that reflects part of its mission. Read our blog post for more info on the values behind the business. Entries close October 23, 2015. Terms & Conditions apply. Thanks for entering! we’ll be in touch soon.